Rhythm Passport intervista il nostro Mauro Durante riguardo il nostro nuovo album Canzoniere e il nostro prossimo spettacolo a Londra del 15 dicembre. Con l’annuncio di una sorpresa in anteprima! Il nostro amico cantante folk inglese Sam Lee Nest Coll sarà con noi per un paio di canzoni! Two years ago, Canzoniere Grecanico Salentino (CGS) celebrated their ruby wedding anniversary with music, and their love for Pizzica and tarantella is stronger than ever. That’s why Canzoniere, their recently released 20th studio album, can be considered as another referential work for anybody interested in traditional Mediterranean sounds.The band (formed by Rina Durante in 1975 – and still led by the Durante family) has become one of the most successful Italian music exports. CGS can indeed be proud of their large number of followers both in their native country and abroad, spreading the Salentinian vibe in Europe as much as in North America, Asia and Oceania.A few weeks ago, just after the publication of Canzoniere, we met up with Mauro Durante atWOMEX in Katowice and had a brief but interesting chat about the present days of CGS, which are spent on the verge between an unadulterated devotion to the Apulian tradition and a more global and forward-looking music perspective. “Canzoniere is our latest collection of songs. We called it that because we really consider it as a rural and agricultural metaphor. We sowed the seeds for the songs in the album between Lecce and New York – where I spent more than four months going back and forth. In New York, I did some co-writing sessions with some great musicians and producers and worked with different artists like Coldplay,Bruno Mars and Celine Dion. I had various meaningful experiences, and, from there, those seeds that we planted have started to grow. We let them sprout and ripen in Lecce, working with the other musicians involved in Canzoniere and, today, those songs have matured. We harvested them and collected a robust songbook, but instead of ‘songbook’ we prefer to call it a ‘crop of songs’”. When it comes to explaining the subject of the album and its themes, Mauro’s answer is unexpected as much as it is romantic and inspired. “Canzoniere speaks about hands, our hands. About how much we need our hands to touch and get in touch with each other: create a relationship, hug, make love, to protect what we really care about, stand up to, and fight. Hands are what shape our lives. Broadly speaking, Canzoniere is a social album, different from Quaranta, which was predominantly a political work”. 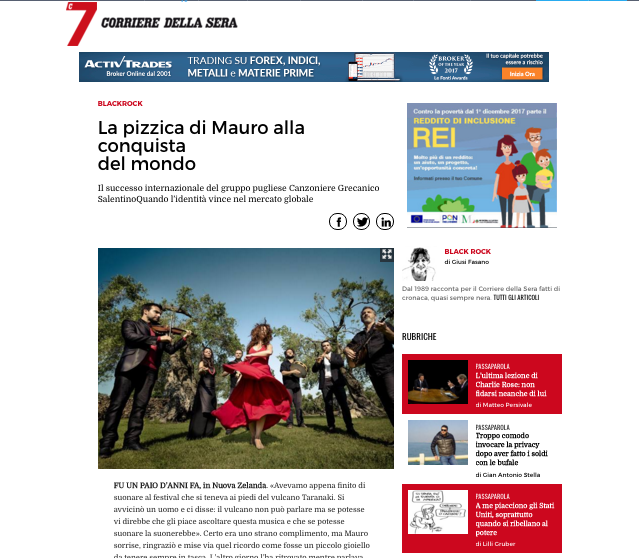 As Mauro revealed, Canzoniere had enough time to take root and then spring its leaves and express the recent developments in the band’s music path. “The project started during the summer of 2015. Ludovico Einaudi, with whom I collaborate, was embarking on a new tour and asked every member of his group to not miss a show, and become involved with the project on a full-time basis. Unfortunately, as CGS plays such an important role in my life, I couldn’t join him, so I started to look for new experiences. That’s when I decided to go to New York, because, in New York, there is both our North American manager and publisher (Mark Gartenbergand Eric Beall). That was when we finally gathered enough new material among the things I had written during those sessions: some songs that I wrote all by myself and some more collective works which could produce a full-length album. All the material followed me back and forth between Salento and New York and, inevitably, modified itself by changing shape. Finally, in December 2016, one of the producers I met in New York, Joe Mardin (who’s the son of Arif Mardin – the legend behind many works of Aretha Franklin, The Bee Gees and Norah Jones), came to Salento and helped us to finalise all the recordings in two or three weeks. He brought everything home and mixed the album, which was latterly mastered by Joe LaPorta – another exceptional sound engineer who recently won a Grammy for David Bowie’s Black Star”. All of these experiences and encounters, which occurred over the last two years, have inevitably remodelled CGS’s sound. However, the ensemble hasn’t denaturalised their approach to music, always staying true to their roots. “I have to say that the most significant thing in our music is that the main ingredients are always the same. As a matter of fact, we haven’t changed our instruments: we still play the violin, bouzuki, accordion, frame drum, recorders and Moog bass guitar (which we already used in Quaranta). In addition, there are even more drum parts than in our previous works, and we also overlapped some frame drum sections. However, even if the ingredients are the same – despite the incursion of Justin Adams and his electric guitar, plus the acoustic guitar of Piers Faccini, or even the piano of one of our American producers – I feel that the sound is different. The production, arrangements and mixing made the final outcome different. I’d say that it’s fresher, more powerful and closer to other international productions”. It’s not only CGS that are looking for and earning some recognition on the international music scene. It looks like more and more Apulian musicians (and Salentinian in particular) are opening up to the world. “The Apulian music scene is really lively at the moment. If you consider the world music panorama, the Apulian one is still pretty young, almost a newcomer. For this reason, there’s so much desire to make our music known abroad and to spread it everywhere. Artists like Antonio Castrignanò and Kalàscima,or the Notte della Taranta itself and its orchestra (which is directed by Daniele Durante, my father, at the moment) are all part of a solid reality able to make its voice heard internationally”. 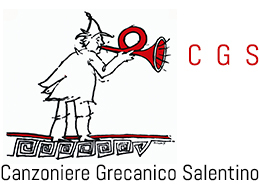 On Friday night, Canzoniere’s world tour will bring the Apulian sound to London for a very Christmassy event. We asked Mauro how they succeeded in transposing the studio recordings on stage and what will happen at Rich Mix. I also believe that there are many elements that bring our music closer to the British taste. I’m talking about the dance fuelled by the sound of the fiddle and drums. So, I reckon that what people need to do is simply join us and everything will work out just fine. Anyway, to make it even more alluring for the London audience, I have some good news for you because Sam Lee will join us on stage during our Rich Mix show”. Il Tg2 racconta la magica serata all’Auditorium Parco della Musica – Roma e parla del nostro tour in questo bel servizio! 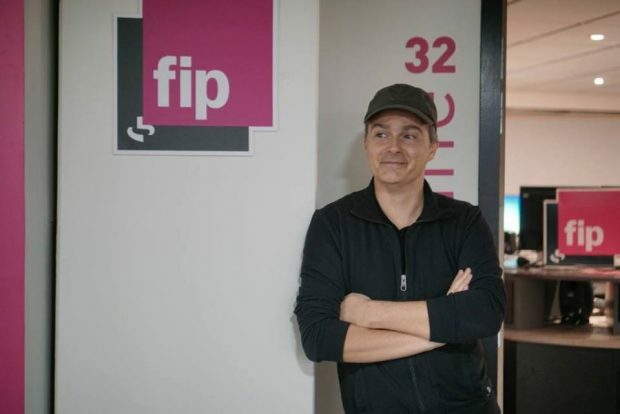 Radio FIP Sous Le Jupes! Anche Vanity Fair parla del nostro #canzoniere in questo video firmatoaskanews. Un disco ideato e prodotto fra Lecce e New York, che unisce la tradizione e la cultura della Grecìa salentina alla modernità del sound e dello stile d’oltreoceano, con un risultato unico e travolgente: è “Canzoniere”, il nuovo album del Canzoniere Grecanico Salentino, che lo presenta in un tour italiano ed europeo cominciato a Lecce e che farà tappa a Roma il 3 dicembre e il 10 a Milano, oltre che a Parigi, Berlino, Londra e Bruxelles. Mauro Durante – che dal 2007 è il leader della storica formazione – ci ha spiegato la genesi della loro nuova opera in un’intervista negli studi di Askanews. “Tutto era nato da questo desiderio di confrontarsi con la forma canzone intesa in senso lato, e per farlo abbiamo fatto delle sessioni di cowriting con dei produttori e musicisti di base a New York: Joe Mardin – che poi ha finito per produrre l’album – Scott Jacoby, Steve Skinner, Michael Leonhart, Rasmus Bille Baehncke, e da lì sono nati gli embrioni di molte delle canzoni che sono poi finite nell’album. E continuando a fare la spola fra Lecce e New York abbiamo composto altro materiale a Lecce col resto del gruppo, queste canzoni facevano su e giù, finché non abbiamo chiuso le registrazioni quando Joe è venuto nel Salento per completare le ultime sessioni. E poi è uscito il nostro raccolto di canzoni”. Un disco quindi caratterizzato da sonorità e forme in parte nuove per il gruppo del Salento, un album in un certo senso più “americano”. “È un disco sicuramente che è in parte anche americano, perché il produttore è americano, molti coautori sono americani e sicuramente l’intenzione di fare una sorta di mainstream ma utilizzando comunque i nostri ingredienti, cioè il dialetto, il bouzouki, il tamburello, il violino, l’organetto, sicuramente un atteggiamento americano che non fa differenze a priori ma va semplicemente a vedere il risultato”. Non a caso per il 2018 è previsto anche un tour proprio in America, che presenterà al pubblico questa eccezionale sintesi di energie musicali del Mediterraneo e del Nuovo Mondo. RDS 100% Grandi Successi parla ancora di noi in questo bel video! Ispirarsi alla tradizione e alle proprie profonde radici culturali, ma aprendosi al mondo e alla novità: è questo lo spirito della ricerca musicale del Canzoniere Grecanico Salentino, che il 3 dicembre sarà a Roma all’Auditorium Parco della Musica – Roma nell’ambito di un tour nelle città d’Italia e d’Europa per presentare il suo nuovo album “Canzoniere”, scritto in gran parte in America in collaborazione con autori e produttori attivi a New York. Proprio uno dei brani di Canzoniere – Lu Giustacofane – allude al rapporto con il passato, come ci spiega Mauro Durante, leader del gruppo salentino. “Lu Giustacofane era un antico mestiere: persone che passavano di paese in paese, casa per casa, cantando e gridando per sapere se ci fosse qualche oggetto da aggiustare, come le anfore o le cofane o comunque altre piccole lavorazioni. Giravano col ferro filato, martello e altri attrezzi semplici. Per noi il suo invito e il suo esempio è un simbolo che può significare il fatto di dover aggiustare ancora oggi le relazioni il rapporto con la propria terra e usare le mani per riparare quello che va sistemato anziché gettarlo via”. L’ultimo lavoro della band salentina, dal titolo Canzoniere, lancia un messaggio di una potenza straordinaria. La profondità delle loro canzoni unita alle vibrazioni del tamburello scuote animi e coscienze. Musica incantevole, ritmo coinvolgente, voci emozionanti. Questo è il Canzoniere Grecanico Salentino, il più importante gruppo di musica popolare salentina fondato nel 1975 da Rina e Daniele Durante e il primo ad essersi formato in Puglia. La band si esibirà in concerto a Berlino il prossimo 30 novembre per presentare il suo nuovo album. Dal 2007 il gruppo è guidato da Mauro Durante, figlio di Daniele, che ne ha raccolto la leadership per portare la musica italiana nel mondo attraverso importanti collaborazioni con Ludovico Einaudi, Steward Coppeland, Piers Faccini e Ballake Sissoko. Il gruppo è attualmente formato da Mauro Durante (violino, percussioni, voce), Giancarlo Paglialunga (tamburello, voce), Emanuele Licci (bouzuki, chitarra, voce), Alessia Tondo (voce), Massimiliano Morabito (organetto), Giulio Bianco (armonica, zampogna, flauti e fiati popolari, basso) e Silvia Perrone (danza). La musica del Canzoniere Grecanico Salentino è caratterizzata dall’incontro fra modernità e tradizione e reinterpreta in chiave contemporanea le storie che ruotano attorno alla celebre pizzica tarantata, un rituale che aveva il potere di curare attraverso la musica e la danza il morso della leggendaria Taranta. Oltre alla frequente presenza al concertone della Notte della Taranta, organizzato ogni estate nella città di Melpignano, il gruppo salentino ha ottenuto enormi e significativi riconoscimenti dal pubblico e dalla critica nazionale ed internazionale. Il gruppo è attualmente impegnato in un tour di concerti italiano ed europeo e farà tappa a Berlino il 30 novembre nella sala concerti della Maschinenhaus presso la Kulturbrauerei a Prenzlauer Berg. Per l’occasione abbiamo intervistato Mauro Durante. «Canzoniere è nato tra Lecce e New York dalla collaborazione con tanti artisti che ho avuto la fortuna di conoscere durante il mio periodo negli Stati Uniti. L’immagine di copertina ritrae una bottiglia di Coca Cola riempita di salsa di pomodoro: si tratta di un’opera d’arte intitolata proprio Coca Cola e realizzata nel 2015 dal collettivo artistico Casa a Mare. Per noi rappresenta un’immagine forte, un richiamo alla salsa di pomodoro fatta in casa, pratica tuttora diffusa in Salento. Per la conservazione della salsa solitamente si utilizzano bottiglie di vetro riciclate e tra queste anche quelle di Coca Cola. Il rito della preparazione della salsa coinvolge famiglie intere trasmettendo un senso di comunità ed appartenenza. 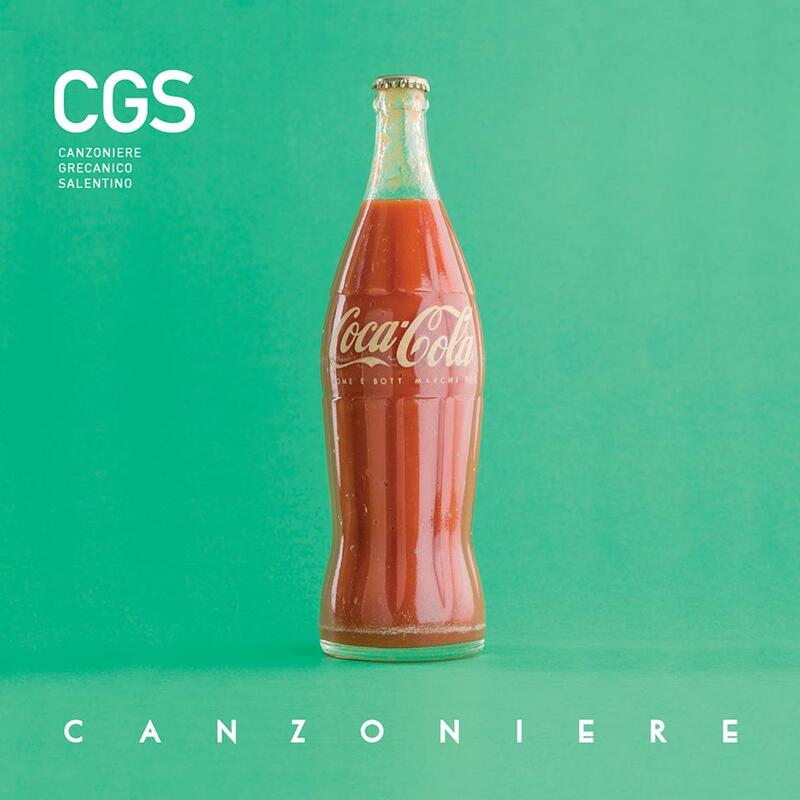 Nel caso della copertina dell’album, la salsa si fa metafora della nostra musica, dei nostri strumenti all’interno di un contenitore globale rappresentato dalla bottiglia di Coca Cola. La nostra musica non si confronta infatti soltanto con innovazione e tradizione, ma si muove anche tra locale e globale. Questo lavoro ambisce così a raggiungere un pubblico contemporaneo, senza dimenticare però la propria identità». «Siamo venuti spesso a Berlino. Due anni fa ci siamo esibiti in occasione del Karneval der Kulturen (festival di strada che anima Berlino alla Pentecoste ndr). In più abbiamo suonato anche al Lido, a Kreuzberg. Quando ci hanno proposto la capitale tedesca come tappa del nostro tour siamo stati davvero felici. Berlino è bellissima, si respira un’aria diversa rispetto al resto della Germania. È una città con grande fermento culturale e vi si trovano sempre nuovi stimoli. Noi viaggiamo tantissimo e lo facciamo volentieri: conoscere e confrontarsi con nuove persone è fantastico, perché ogni volta impariamo sempre di più da queste esperienze. Quando ai nostri concerti all’estero incontriamo degli italiani, che siano residenti o di passaggio, ci emoziona vedere come la nostra musica in qualche modo li riporti a casa. Si viene a creare una specie di riappropriazione delle proprie radici. In più è meraviglioso vedere italiani e stranieri danzare insieme, perché crediamo fermamente che la nostra musica abbia senso solo se condivisa». «La musica popolare ha sempre risposto ad urgenze della quotidianità. In passato lo faceva con i canti di lavoro, di protesta, di disagio sociale. Il nostro brano Solo andata (contenuto nell’album Quaranta del 2015 ndr) racconta il dramma dei migranti attraverso le parole di Erri de Luca, che ha voluto parlare del naufragio in mare aperto subito dai migranti, confrontandolo con le condizioni di viaggio che dovevano affrontare anche alcuni emigranti italiani. Abbiamo messo in musica e cantato le parole di un grande scrittore del nostro tempo. La musica che si definisce popolare deve e non può non affrontare questa tematica». «Quando ci esibiamo all’estero capita che la gente non ci conosca prima. Tuttavia appena inizia a suonare il tamburello, il pubblico viene preso subito dal suo ritmo, viene travolto e avvolto dalla nostra musica. Di solito quando suoniamo ci disponiamo in semicerchio con la nostra ballerina al centro. L’altra metà del semicerchio è formata dal pubblico che si unisce a noi dando un senso di collettività nella danza. È la danza stessa che ha il potere di annullare le distanze tra le persone indipendentemente dalla loro provenienza o classe sociale. A Berlino ci auguriamo di dare il via ad una grande festa italo-berlinese che ci faccia ballare e divertire tutti insieme». «Nel 2018 continueremo il nostro tour dirigendoci anche oltreoceano, sia a est che a ovest. Sono previste delle date in Asia e in America Latina. In più siamo sempre pronti ad avviare a nuovi progetti che nascono spontaneamente, come è stato per quello con Erri de Luca». FU UN PAIO D’ANNI FA, in Nuova Zelanda. «Avevamo appena finito di suonare al festival che si teneva ai piedi del vulcano Taranaki. Si avvicinò un uomo e ci disse: il vulcano non può parlare ma se potesse vi direbbe che gli piace ascoltare questa musica e che se potesse suonare la suonerebbe». Certo era uno strano complimento, ma Mauro sorrise, ringraziò e mise via quel ricordo come fosse un piccolo gioiello da tenere sempre in tasca. L’altro giorno l’ha ritrovato mentre parlava di sé e del suo Canzoniere Grecanico Salentino, gruppo storico di world music capace di generare incontri fortunati fra le melodie della tradizione e il sound moderno dalle incursioni rock. 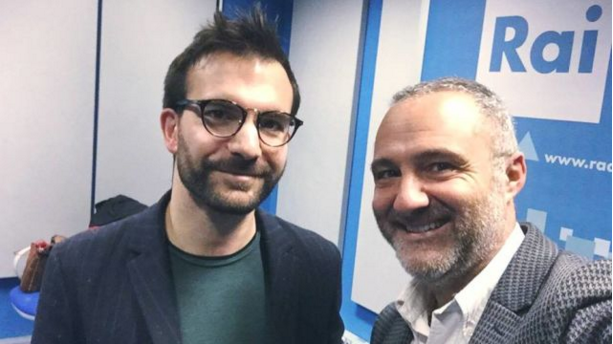 Pizzica ed «energia geotermica del Mediterraneo», per dirla con le parole dello scrittore Erri De Luca. Lui è Mauro Durante, leader che offre voce, percussioni e violino al Canzoniere, creatura voluta 42 anni fa da suo padre Daniele e affidata a lui nel 2007. Si intitola Canzoniere anche il nuovo album della band, 12 brani realizzati sull’asse Lecce-New York e impreziositi da collaborazioni come quella di Justin Adams (chitarra inglese al fianco di Robert Plant), Piers Faccini (cantautore anglo-francese) o Marco Decimo (per anni al violoncello accanto a Ludovico Einaudi). Copertina: una bottiglia di Coca-Cola (creata dal collettivo artistico Casa a Mare) che simboleggia il mondo come contenitore ed è piena di salsa di pomodoro, materia dalla dimensione planetaria e locale allo stesso tempo. «Siamo felici perché le reazioni della critica, specie quella internazionale, sono eccezionali» dice Mauro emozionato dai risultati incassati dall’album in queste prime settimane. «In un panorama globalizzato» – riflette – «è fantastico riuscire a fare qualcosa che ti rende unico e che è fortemente identitario nonostante l’apertura verso l’esterno». Il ricordo va al giorno in cui suo padre gli disse che il gruppo sarebbe passato nelle sue mani. «Capii all’istante che avrei dovuto puntare sul mercato internazionale e puntare sulla pizzica che all’estero era una specie di terreno sconosciuto. Fra il 2011 e oggi abbiamo organizzato diversi tour negli Stati Uniti e molto altro». Inghilterra, Australia, Nuova Zelanda, appunto. E poi lo Sziget Festival di Budapest, il Festival internazionale di jazz a Montréal, il Celtic Connections di Glasgow, lo Sxsw Music Festival in Texas… Il risultato è quello che Mauro descrive come «il sogno che stiamo vivendo, cioè poter portare la musica della nostra Terra nel mondo». «UN TRIONFO. Un suono straordinario e inebriante» dice The Guardian; «Un vero tornado» scrive il New York Times; «Una vitalità che a ogni passaggio ti trascina con sé», aggiunge Libération. Ti trascina e ti costringe a seguire il ritmo della musica come fa Silvia Perrone danzando, ti coinvolge come fa Alessia Tondo cantando. E ancora: Emanuele Licci (voce, chitarra, bouzouki), Giulio Bianco (basso, zampogna, armonica, flauti e fiati popolari), Massimiliano Morabito (organetto) e Giancarlo Paglialunga (voce e tamburello). Chissà se il vulcano Taranaki ha imparato i loro nomi ad uno ad uno. “Canzoniere” è il nuovo album del Canzoniere Grecanico Salentino, album raffinato e moderno, in cui i tipici tamburi vengono suonati come delle drum machine e gli strumenti tradizionali si affiancano a chitarre elettriche e bassi synth. C’è il Salento e l’America, tradizione e innovazione. Abbiamo scambiato quattro chiacchiere con Mauro Durante per conoscere meglio questo “raccolto” di canzoni. In che senso Lecce incontra New York in questo nuovo album? Abbiamo avuto la fortuna di avere un produttore newyorchese, Joe Mardin, che è anche coautore di 3 brani. Inoltre, altri brani sono nati dalla collaborazione con grandi musicisti newyorchesi come Scott Jacoby, Steve Skinner, Rasmus Bille Bähncke, Michael Leonhart. Bellissima la copertina che avete scelto. Come vi è venuta in mente l’idea di rappresentare la vostra musica con due prodotti simbolo di mondi apparentemente così diversi? Proprio come i nostri nonni usavano la bottiglia di coca-cola come contenitore della loro salsa di pomodoro fatta in casa, noi usiamo il contenitore “canzone” per la nostra salsa fatta in casa: la nostra musica, le nostre parole, il nostro vissuto e quello che noi siamo. La salsa di pomodoro conserva la sua straordinaria forza identitaria anche dentro quella bottiglia, quello che vogliamo faccia la nostra musica quando si apre al mondo. Perché lo definite un “raccolto” di canzoni? Perché ci piace pensare che lo abbiamo composto “raccogliendo” canzoni.Ognuna di quelle canzoni è stata seminata dopo aver preparato con cura il terreno, poi curata per farla crescere bene, e l’abbiamo raccolta solo quando era matura. Che messaggio volete lanciare con questo album? Un messaggio di contatto, apertura e fiducia verso il mondo. Riscoprire l’uso delle mani come mezzo per toccarsi, proteggere e resistere. In che modo gli strumenti della vostra tradizione posso fondersi con quelli elettronici? In realtà in questo album di elettronico c’è solo la registrazione etnografica messa in loop all’inizio de Lu Giustacofane, e l’uso di strumenti analogici elettronici come il basso moog, che però era già presente nel nostro album precedente. Le percussioni possono dare l’impressione di essere elettroniche, ma in realtà sono i nostri tamburi a cornice suonati con le nostre mani. Si può essere moderni senza perdere la propria memoria storica? Non si può essere moderni senza memoria storica, mancherebbe il punto di riferimento. Ci parlate delle varie personalità che si sono avvicinate a voi in questo album e di come sono nate queste bellissime collaborazioni? Le collaborazioni secondo noi non devono mai essere fini a se stesse, o fatte solo per inseguire il “nome” dell’ospite di prestigio. In “Canzoniere” ogni cosa è al servizio della canzone, questa è la base comune della scelta di Marco, Justin e Piers: erano semplicemente perfetti per quelle canzoni. Sono tutti nostri amici e grandissimi musicisti, che abbiamo incontrato nelle nostre tante avventure musicali. Domanda Nonsense: Qual è il luogo segreto della vostra terra che si deve visitare almeno una volta nella vita? La nostra terra è così bella che risulta difficile indicare un luogo in particolare. Il nostro consiglio é di “perdersi” nel Salento, lasciarsi guidare dagli istinti e scoprire da soli i luoghi più incantati.